I remember sitting on my bed crying for hours. And I was angry. Angry with my situation and pain I had to endure at the hands of another. Feeling alone, insecure, not worthy nor wanted. I felt unloved and deeply betrayed. The one who had promised to love me forever had done the unthinkable. I was broken. I had been left to pick up the pieces of what felt like the after affects of a massive tornado. Sifting through the rubble, hoping to find bits and pieces of hope. Something I could cling to – to save me. I sat. Tear stained face. God’s Word open beside me, tear drops wrinkled its thin pages. Have you ever found yourself in such a place of pain that you search the Bible for Scriptures on your Identity in Christ to bring you comfort? Or searched for Bible studies on Identity in Christ to bring you peace? Pain and hard life trials seem to have a way of keeping us confused, if we allow them, on our identity in Christ. Who we truly are, because of Jesus, can be unclear and smeared by the trials we go through in life. Also, labels that society harshly bombard us with can be overwhelming to the heart. Everything opposite of who I am in Christ; that’s what I was feeling. I was not yet strong enough nor knowledgeable in the Word to combat the lies that stole my identity. And at that moment, God met me. He found me in my pain. He began to remind me of who I was through Him. He showed me who He is and who I am in Him. It was like His love was surrounding me in a security blanket. 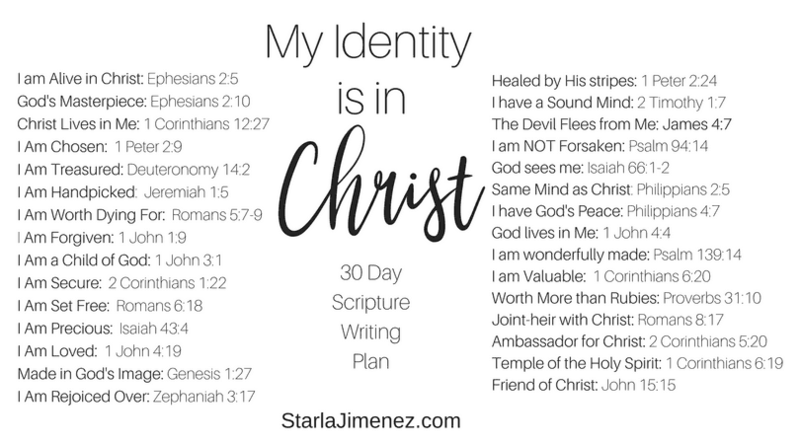 What is My Identity in Christ? We are because of who He is. I created this scripture writing plan to help not just myself, but for my friends and readers to have a guide to get them started in knowing who they truly are in the Lord. God alone can place a value on you. And He thinks you are so so valuable!! Use these 30 bible verses, one per day, writing them out over and over until God’s truth sinks deep into your heart, mind and soul. Be encouraged my friend, God thinks you are amazing and we can never comprehend just how wide and deep His love is for us. Get your FREE printable prayer journal by signing up to receive my newsletters. 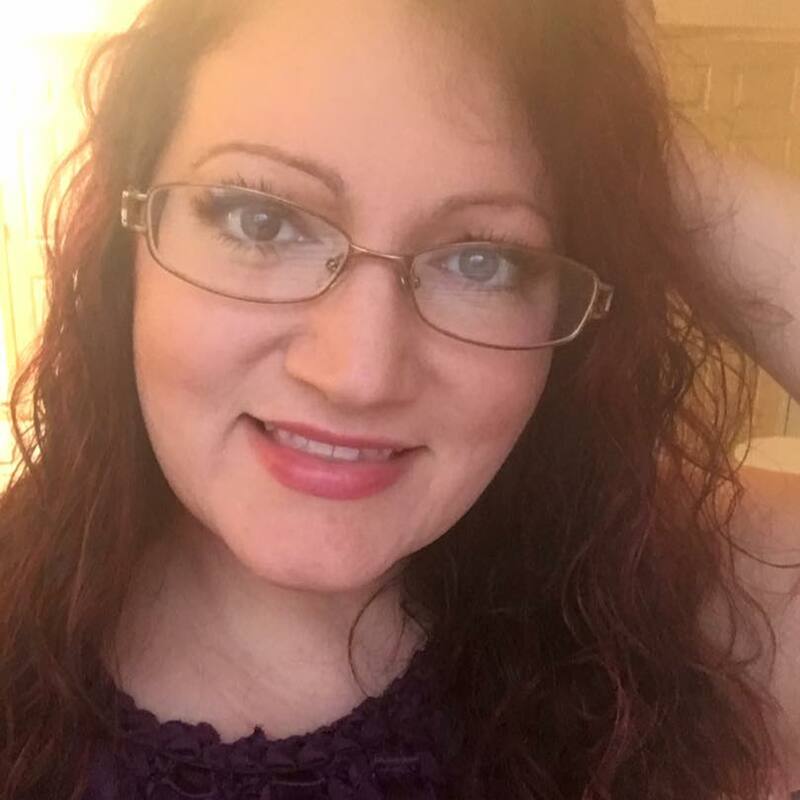 If you are on Pinterest, I’d love to see you there! For all my scripture writing plans, Click Here. Scripture writing is hand writing out Bible verses. Simple enough, right? The purpose of scripture writing is to hide God’s word in our hearts. It can be used as a for of journaling and quiet time with the Lord. Pray as your write. Listen as you write. Allow the Holy Scriptures to be deeply rooted in your heart as you write out each verse and passage.